come with a mystery machine vehicle. 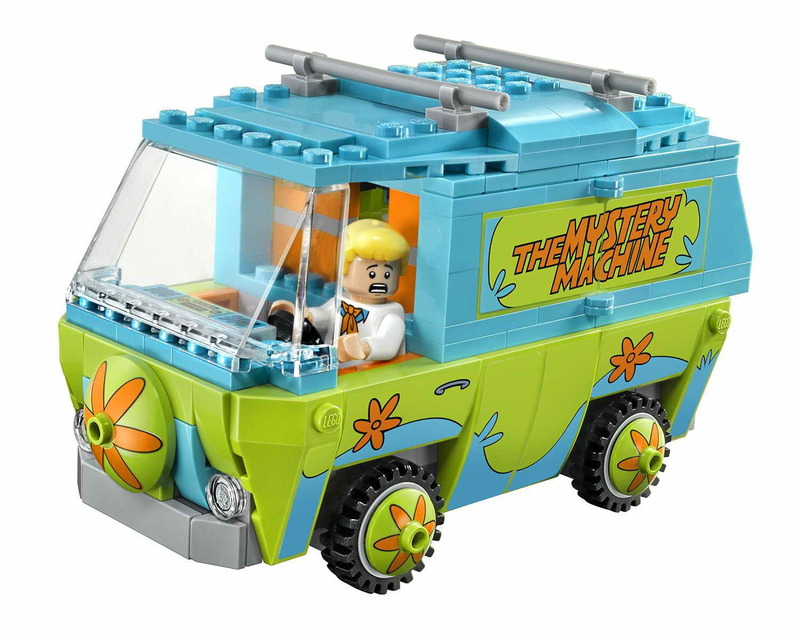 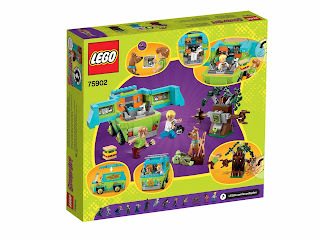 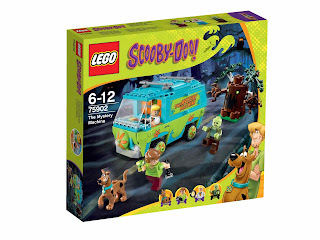 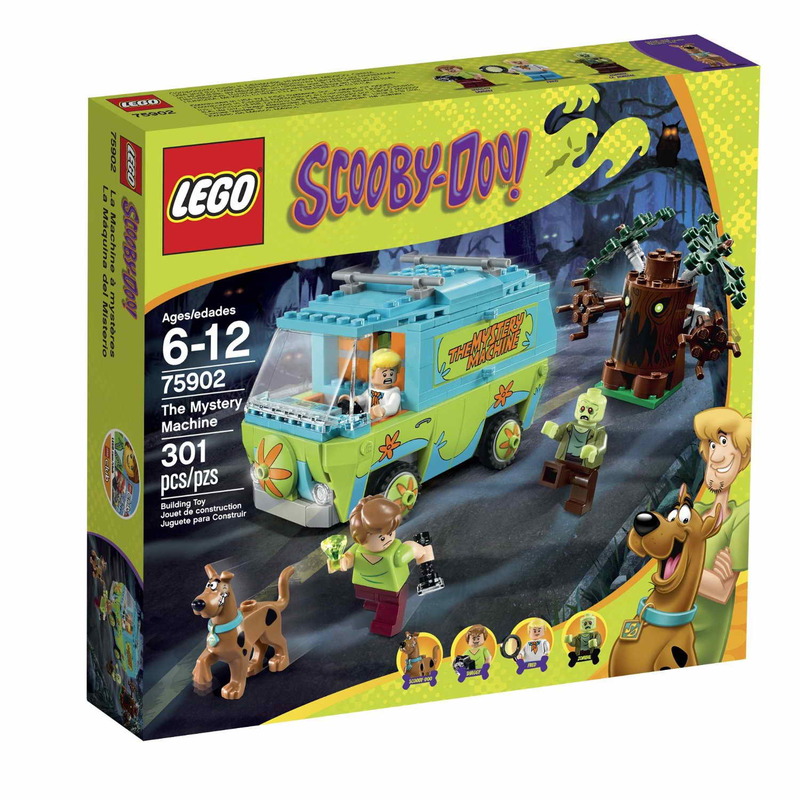 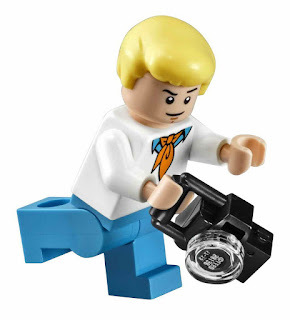 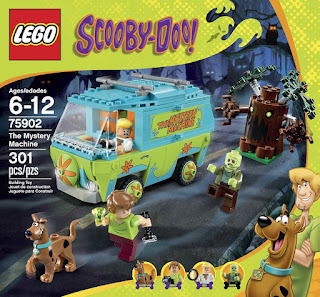 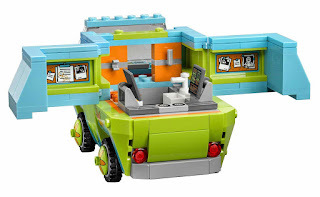 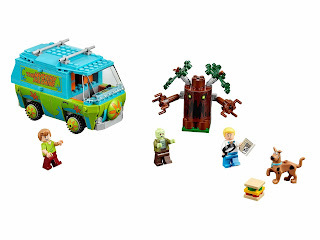 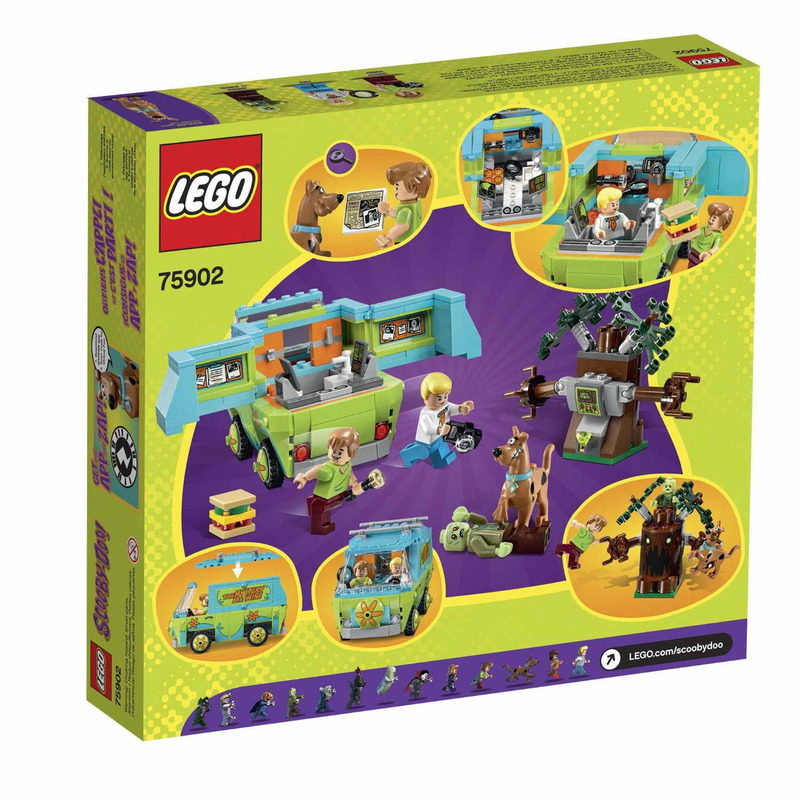 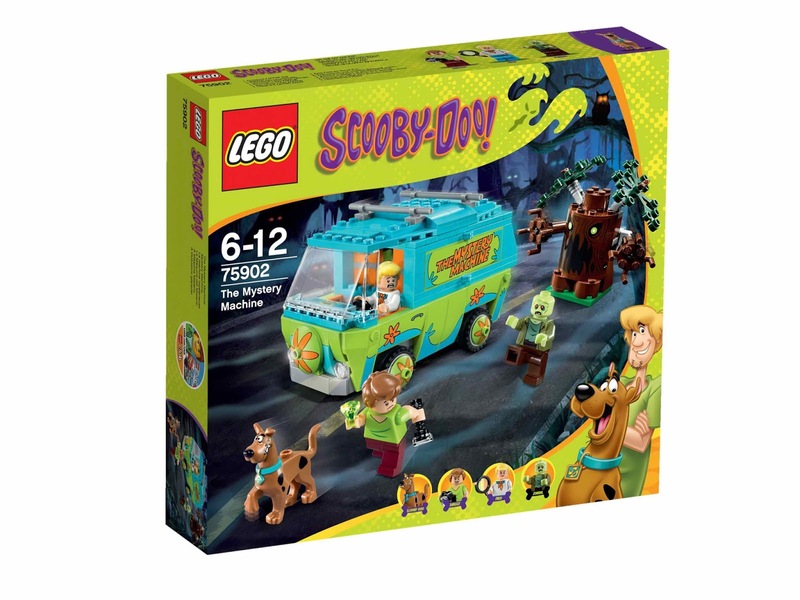 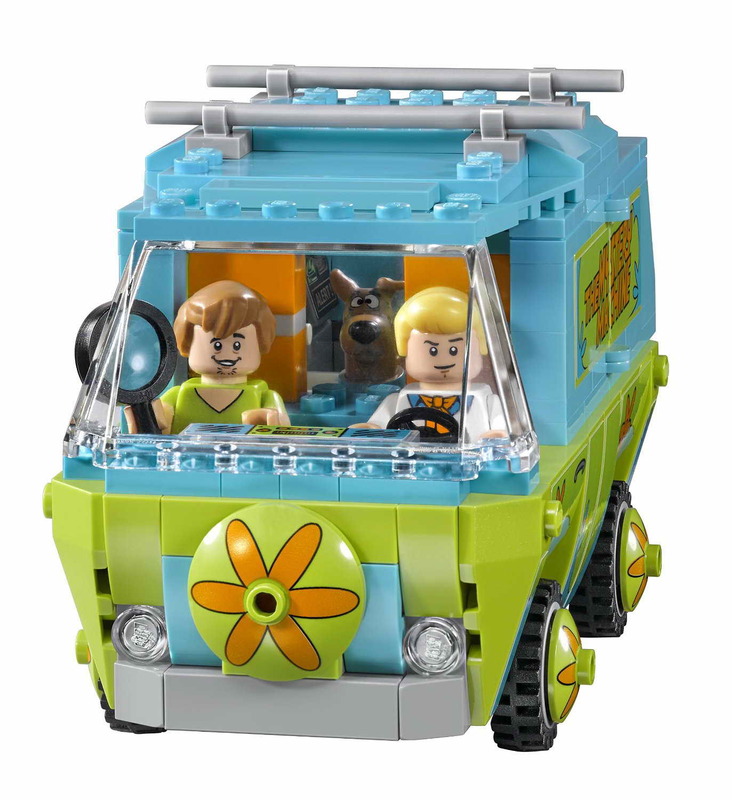 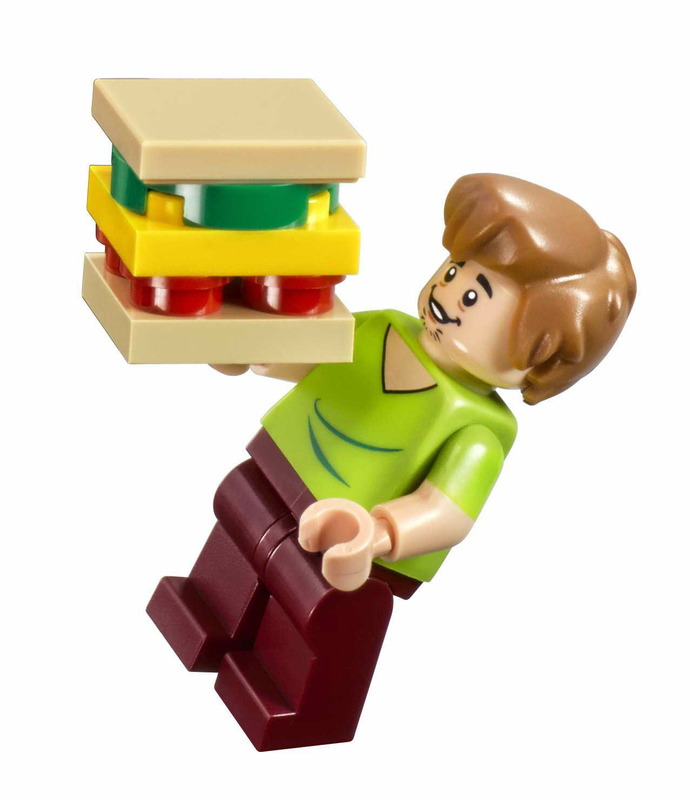 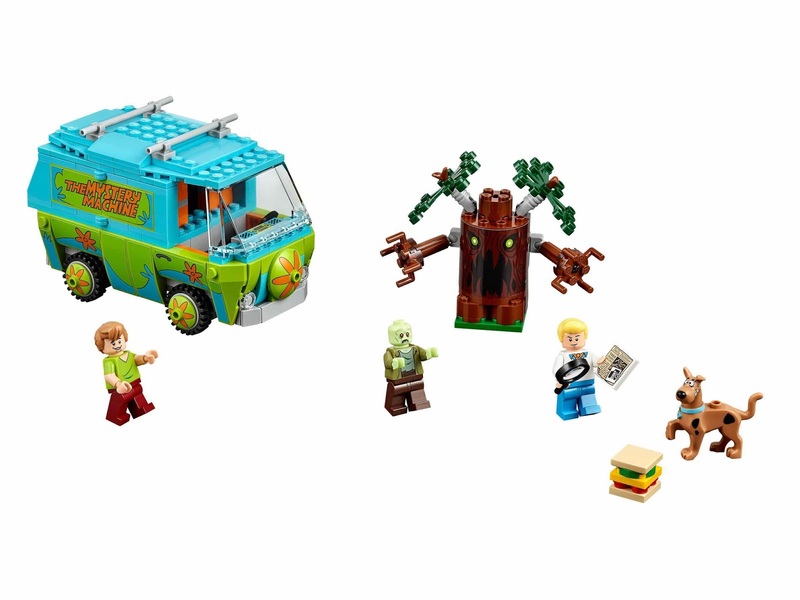 the vehicle has a driver’s cabin with steering wheel and space for 2 minifigs, a removable roof and foldable sides, a stove, a sink, a spigot, a spy glass, a camera, a torch, a tape recorder, 2 computer screens, a mystery clue, a gem, a mug and a giant sandwich. 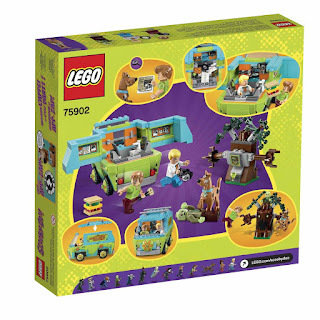 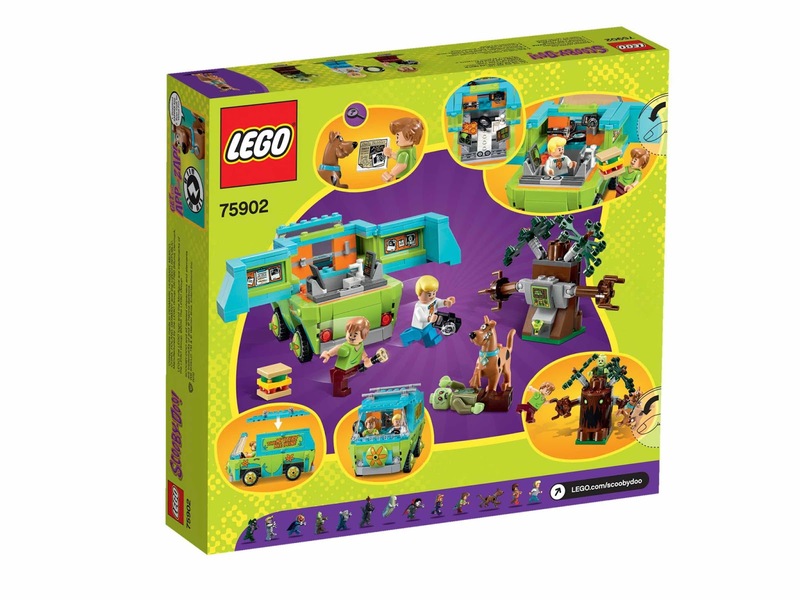 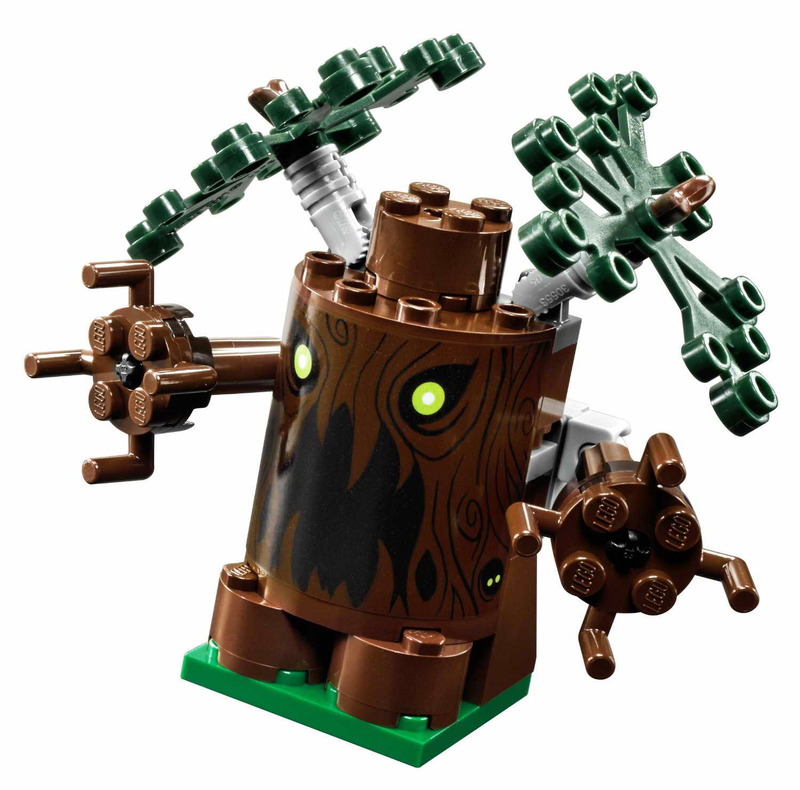 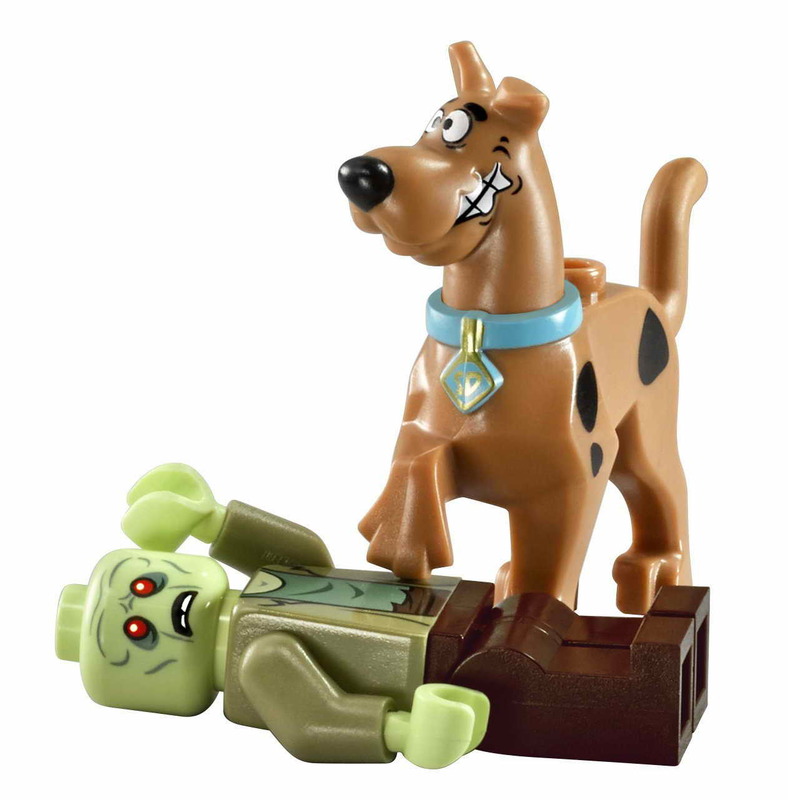 minifigs included a fred minifig, a shaggy minifig and a zombie / zeke minifig.